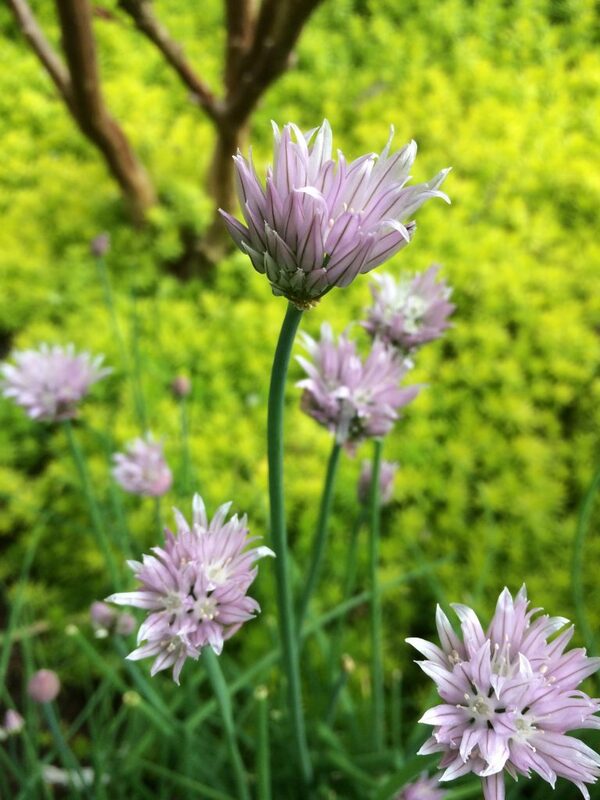 Chives! Everyone needs these easy to grow, long-blooming, edible perennials in their garden. 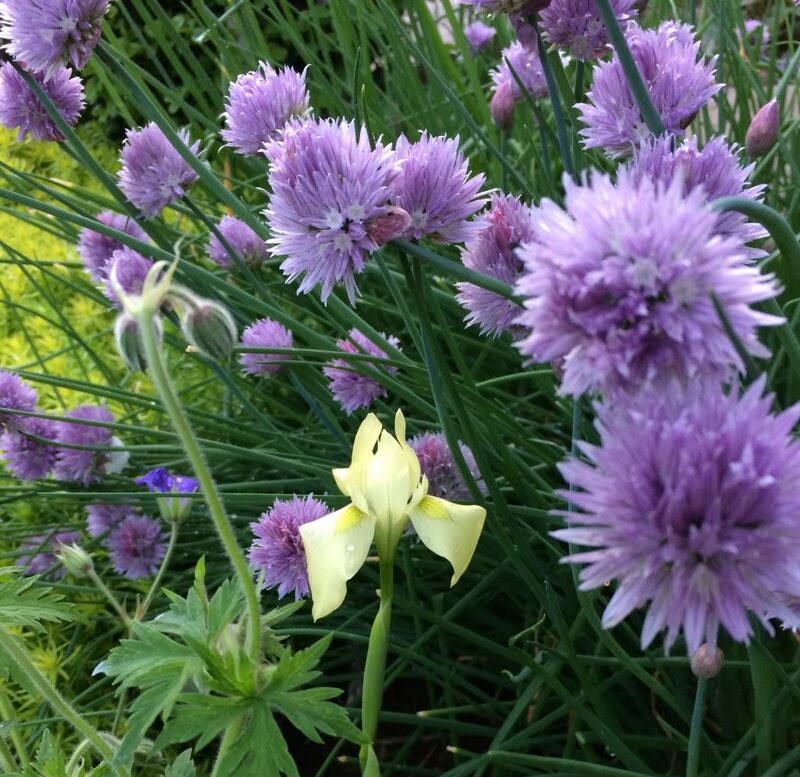 Late spring brings stems clad in rich lavender/purple flowers that are spicy and wonderful in salads. Cut back at any time and a new crop of tasty leaves will appear. To 18″ tall and forming clumps. Full sun and virtually any soil with consistent summer water. Moderate deer resistance. Often seeds around. These are easy to identify and dispatch or share with friends. A first-rate flowering border perennial as well. Winter deciduous.